More than 1.4 million people in Angola, including many children, have been affected by a "chronic drought" that has increased the risk of disease, a UN report said Wednesday. Seven southern regions of Angola are affected, with the three border provinces of Cunene, Namibe and Huila hit the hardest. The UNICEF report said severe acute malnutrition rates in Cunene were at 3.6 percent, higher than the national average of one percent. 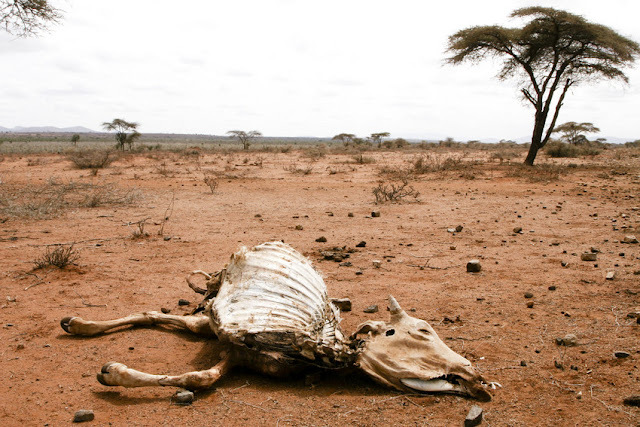 The report said the El Nino weather phenomenon had resulted in "significant food production losses of almost 90 percent" in some areas. "The nutrition response remains critically underfunded," it added. About 1.42 million people, including 756,000 children, have been affected nationwide by the shortage of rainfall. As the dry conditions batter the southern parts of the country, recent heavy rains in the north have seen the spread of cholera that has killed 18 people. In total 18 deaths have been reported," the report said. Drought has been ravaging large parts of southern Africa in recent years, decimating crops and water resources, leaving millions dependent on aid. Zambia, Swaziland, Zimbabwe and South Africa have been among the worst affected countries.